As moms, we live in a state of constant dichotomy. We want to get our bodies back in shape, yet it can feel “selfish” to take time to go to the gym. We long to go out with our friends whenever we choose, yet we can’t imagine spending that much time away from the baby. We crave time for ourselves, yet we’re nervous to leave the baby with our partner for extended periods of time. What if the baby misses us? What if hubby feeds the baby wrong or puts the diaper on backward? We dream of the things we would love to do or create or accomplish, yet somehow we have difficulty stepping away. This is where we, as women and mothers, shoot ourselves in the foot. In my circle of Beyond Moms, I’m surrounded by women who really want to do it all. We want to be active moms, business builders, and cultivators of causes we care about. But when we become mothers, we are pulled toward our little ones like a magnet--they become our first priority at the sacrifice of everything else. We would be lying to ourselves if we didn’t admit that the other parts of ourselves continue to whisper (or scream) in our ears. We still want to create and share, and dare I say…have fun! But to do all those things, we have to let our partners “In” on the process of caring for our little ones. And for some strange, hormonal, protective, Mama-Lioness reason, we have a very hard time doing that. Is this normal? I think so. But if we really want the kind of life we dream of, the one in which we are mothers with dynamic lives outside of the nursery, we must let some other hands on that baby. Especially the hands of our partners. 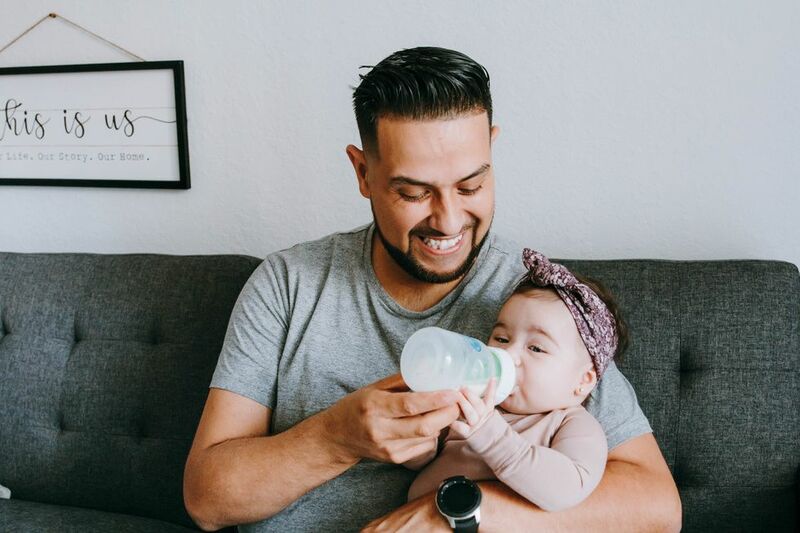 Here are some major moments where the option to let daddy in can make a major difference in your quality of life, and some “damage control” suggestions in case those moments have already passed. 1. Pregnancy and Birth Decisions--He has a voice too! I noticed pretty quickly at OB/GYN appointments and ultrasounds that most doctors and technicians only addressed me, pretty much disregarding the presence of my husband. This got us thinking about how quickly the Dad is disregarded in the pregnancy process, which probably begins to disempower their involvement a little too quickly. Instead, ask your husband how he imagines a healthy pregnancy and birth. Ask him what he imagines a nursery to look like or how he would like to be involved in the birth process. My husband wanted total involvement in my birth but made it clear that if possible, he didn’t want to see the baby “actually coming out.” So I let him stay by my shoulders for the pushing, but boy was he excited to cut the umbilical cord and hold our son for the first time. Allow your husband’s needs and voice to be part of the mix from the very beginning so he feels safe and included. Damage Control: Is hubby already sequestered from the pregnancy/birth conversation? Simply invite him back in! Tell him you want him to be involved and really care what he thinks. Even if he remains a little quiet, invite him to your medical appointments and share the details with him. Tell him that he matters, and ask him where he would like to get involved. Communication is key, and it’s never too late to open that door. You’ll be glad you did. 2. Feeding, Diapering, and The Home--Plagued by Perfectionism. When your tiny peanut arrives home, your focus is all about giving him/her your best. As Mom, you often intuitively feel what that is. 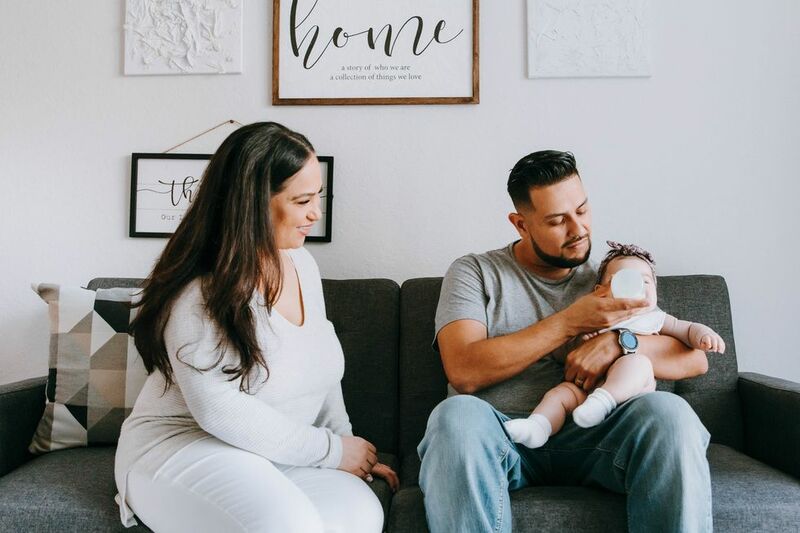 When my son came home, I had a very hard time not hovering over my husband as he attempted to diaper, feed or soothe our son. I literally couldn’t help from telling him the best way to do things or nagging him when I felt something was done improperly. I somehow thought my son wouldn’t survive if something wasn’t articulated in a state of hyper-perfectionism. When my son would cry in the night (as infants often do), I felt compelled to always be the one to cradle and rock him. Within days, my husband and I were battling--he told me that he too had a fatherly instinct and that I had to let him explore what that meant. And as challenging as it was for me to allow that during that intense, hormonal, emotional time, he was 100% right. There were many moments that I would find the two of them asleep on the couch during those sleepless infant nights, and I could see their bonding beginning. I realized that it was up to me to make room for those experiences, no matter how challenging it felt. Damage Control: If the late nights are all on you (because you declare it so) or you do all the dishes (not because he isn’t willing but because you’re the only one who knows how to properly clean the Dr. Brown’s bottles), perhaps ask him if he’d be interested in having some late nights with the little one. If hearing the baby cry is too much, maybe some ear plugs or music to get you through? The two of them need to figure it out. Show him how to clean the small spots in the bottle, but then be done with it; let him do it. If you find yourself instructing on how best to slice an avocado (like I do), ask yourself to kindly refrain, and just simply tell him to cut an avocado. Simplify the direction and make room for him. 3. The How and The What--Let Him Figure Out His Own Style. Somehow we convince ourselves that “His Way” is the “Wrong Way” and that “My Way” is the “Right Way.” I’m very guilty of this one, and even to this day, I want food prepared my way, toys arranged my way, and my son dressed the way I like him dressed. Does being a mom mean being a control freak? In some senses, yes. But once again, this will bite you in the behind. We have to realize that Dad has his own ways of doing things, and we have to let go of how we think things “Should Be.” If your child wears a funky, ill-fitting outfit for a day, will anyone judge you? If your child eats pizza and fries for one day, will your child live? And dare I challenge the thought that maybe your husband will surprise you and do something in a way that you’ve never thought of...and it is so much better than your way? (This has happened to me more times than I can count.) We must let go a little and let our partner have his own space to figure out his own style and let our little ones feel comfortable with it. It’s the only way we, as Moms, will have the space and freedom to take care of ourselves too. Damage Control: There’s no time like the present, my friends. For this one, you may need to create a mantra for yourself like, “I must let him figure this out and I must keep my mouth shut.” Simple and direct. If our partner is already to scared to speak, open the door with a statement like, “Maybe you’d want to pick out little guy’s outfit today?” or “Make quesadillas the way you like to make them!” Simple statements like this give him permission to have an opinion and a perspective. Motherhood is so intense, and so is our view of the motherly role. But we must not limit the possibilities for our child’s care, as it will limit the possibilities for the family as a whole. If we stepped out of our individual family paradigm, wouldn’t we want our partner to feel empowered and clear? Wouldn’t we want our kid to feel comfortable and be cared for by both parents? And most importantly, don’t we want to feel, as Moms, that we have the confidence to step outside of the home and be productive? I know the answer is yes, so let’s make it happen...one little daddy moment at a time! Randi Zinn is the founder of Beyond Mom and RZBeyondMom.com. Born from her own experience of motherhood, and the desire for a more connected community- Beyond Mom offers: Mixers, Events, and Retreats for forward-thinking New York Moms. 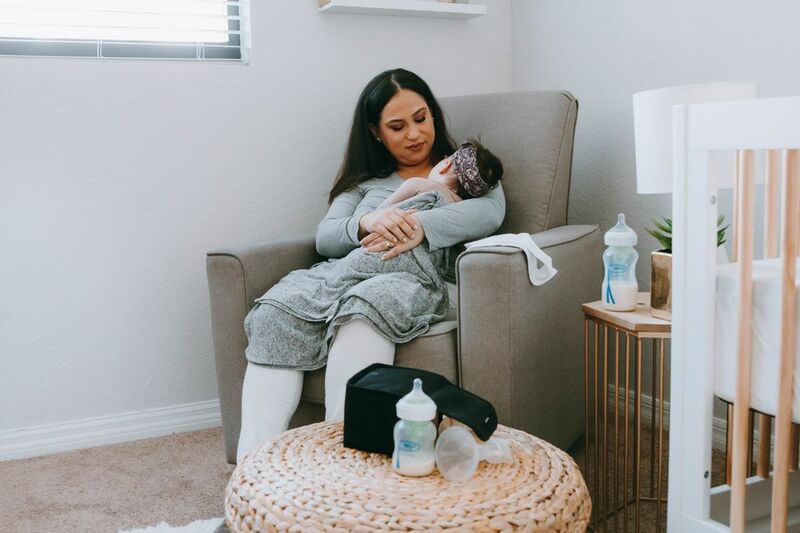 She encourages moms to cultivate a life “Beyond Mom”- one that embraces the gifts of motherhood but expresses all that they are as individuals: creators, businesswomen, thinkers, friends, and so much more. Randi has partnered with Athleta, Comptoir Des Cottoniers, SoulCycle, Mio Skincare, TOWN Real Estate, The Mother Company, Body Conceptions and IntenSati. Her writing has appeared in Fit Bump, Epoch Times and Well Rounded NY. She is a certified yoga instructor through Laughing Lotus NY and has taught since 2008.